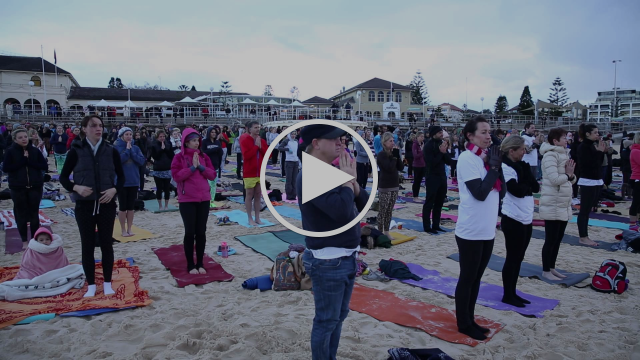 Sydney June 21, 2015: The first International Yoga Day saw thousands turning to their Yoga mats to celebrate events organised by HCA with HSS and OFBJP Australia and ​many other organisations across all major cities of Australia. 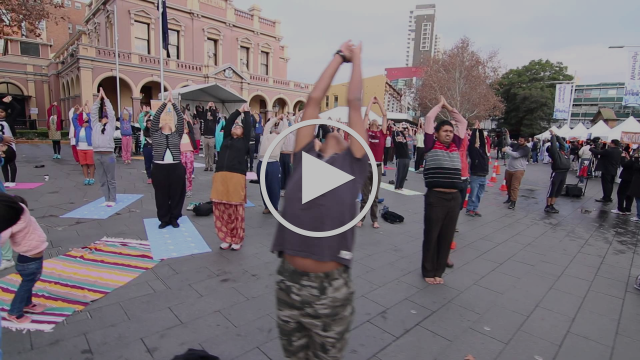 The Free Yoga events registered an overwhelming response to its unrestricted events organised across many cities of Australia including Sydney, Melbourne, Brisbane, Adelaide and Perth. Participants at the Bondi Beach started their eventful day with the sun salutation orSurya Namaskar, took part in the popular Hatha Yoga, laughter yoga and meditation. One of the most popular sessions was the one on Yoga for surfers that combined science with sports. Participants were also treated to fruitful panel discussions, many of which were eye openers. Parramatta event turned out to be very popular among the Yoga lovers as it sits right in the heart of multicultural capital of Sydney. The cultural events and the Grand Surya Namaskar swept audience off its feet. Lord Mayor Parramatta Scott Lloyd, Julie Ovens, the Federal Member of Parliament of Parramatta, Alex Hawke, Federal Member of Parliament of Mitchell and other dignitaries also marked their presence to encourage the audience.